Last summer, Nintendo released the Octo Expansion DLC for Splatoon 2, giving all squids and kids the chance to tuck into some great single-player content. In case you'd forgotten and hadn't got round to it yet, the game's producer has shared his five favourite things about the expansion. As you might expect, Nogami-san's choices include the obvious options like the 80 new challenges and the expansion's new story elements, but there are some other more surprising picks, too. If you haven't checked out Octo Expansion yet, hopefully these reasons will persuade you to give it a go - it really is rather good. If you haven't picked up a copy of the Octo Expansion yet, it's available directly from the eShop for £17.99 / $19.99. Alternatively, you can download a bundle including the expansion and full game together for £67.98 / $79.98 (you'll need the full game to be able to play Octo Expansion). Did you already play through the whole expansion? 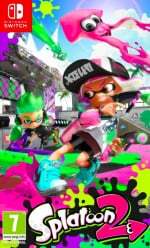 Would you like to see more single-player Splatoon content in the future? Let us know in the comments. I still haven't grabbed the DLC yet. I might get it after I beat the first single player campaign though. I got it for £11 thanks to Gold Points I'd saved up over the last 1 and a half years.It's very good. If you haven't played it, I'd recommend it - it's better than the main campaign. I haven't gotten around to buying Splatoon 2. Seems kind of too far into its content for me to jump in now. I was a little bit miffed about the value of the original Splatoon 2, but the expansion really did make it feel a more fleshed out game (even if it did cost me more money). @LUIGITORNADO Come on in, the water's fine! "Nogami-san's choices include the obvious options like the 80 new challenges and the expansion's new story elements, but there are some other more surprising picks, too." So that's music, being able to play as an octoling in multiplayer as well as replay value? I don't really consider those so surprising, especially since being able to play as an octoling was heavily advertised when the DLC first came out. It's also interesting that they made this video now, half a year after the release of the expansion. I was thinking about the Octo Expansion recently. Might get it soon, looks great. This made me think, that Splatoon 2 is a hit relatively new IP. 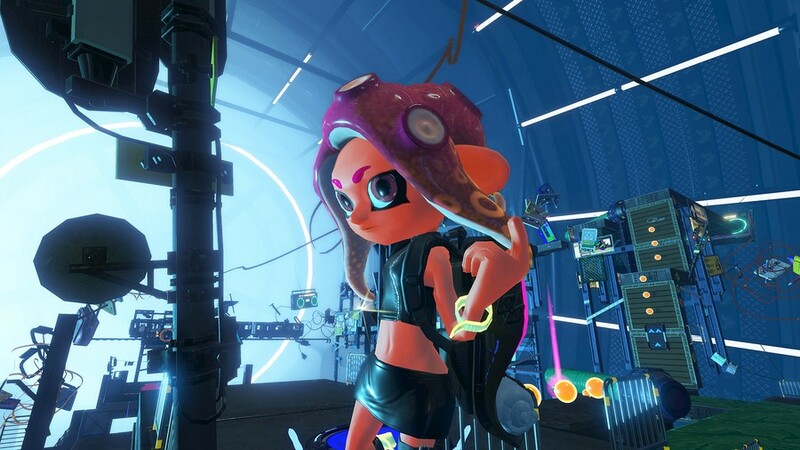 Does anyone else think we will get a Splatoon 3 in 2020? They already have all the assets, it probably wouldn't be much work. I really liked the Octo Expansion. They got really creative with the level design in some cases. I have to go back to it to finally beat the true last boss. I think we can all guess when Splatoon 3 is coming out. @Kainbrightside Which begs the question why we would even get one in the era of DLC. If Splatoon 3 comes out on Switch, it would be very stupid. Unfortunately, it's difficulty was a tad too high for me. I'd breeze through some challenges, but get mired on more than half of them. I might not have minded the steep challenge if there wasn't the constant loss of the entry fee that made me feel as though I was making backwards progress. In the end, it was just too stressful for me - I love Splatoon but also like to play games to /escape/ stress, which is why I also avoided ranked battles and just messed around in turf wars. I'm glad other players are enjoying it, though. It is a nifty addition to the game for players with more skill and tenacity than me. @Trajan that's kind of silly to think that itd be stupid to release another entry in a very popular franchise on a very popular console. They could always refine gameplay mechanics, add new ones, upgrade performance etc... It's not like they'd be releasing annual cash grabs. I think we will get a Mario kart 9 in 2020 as well. @Kainbrightside it would be a cash grab though. Same if there was a new MK. I don't think there will be though with that Nintendo has said about evergreen titles.